Despite the fact that very little guitar-based blues had yet been recorded, there was actually a tremendous amount of this “country blues” being played, and a rich variety of regional styles had developed. The style most common in the southern Atlantic states (from Virginia to Georgia) was known as “Piedmont blues” and featured complex fingerpicking and a high degree of ragtime-inspired syncopation. 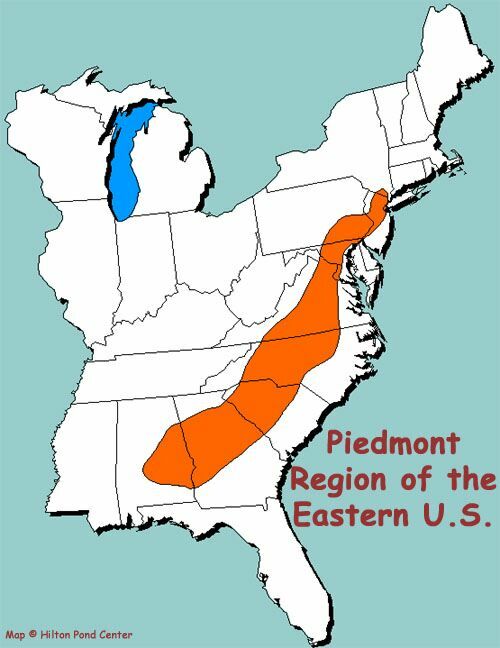 Even though this style dominated, though, the Piedmont region was host to a great many other, overlapping playing styles. 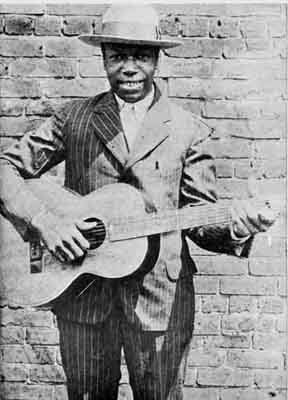 Julius Daniels from South Carolina was one of the first to be recorded in the Piedmont blues style, and his “Ninety-Nine Year Blues” stands as one of the classics of the genre. The story is one of a man sentenced to 99 years in prison after shooting and killing those who wouldn’t “leave this poor boy alone.” Julius’ singing is soft and difficult to hear at times, but livens up in places to imbue just the right amount of character into the song. And the real star here is the wonderful guitar playing. Daniels usually sang while another musician played guitar, but he appears to have played guitar himself on this record, and if so it is a wonder he did not do so more often. The music is hypnotic, with a gentle but compelling melody picked out on the treble strings while rhythm is kept on the bass strings. Robert Hicks acquired the nickname “Barbecue Bob” because he was discovered while working at a barbecue restaurant in Atlanta. Although he was from a south Atlantic state, he did not play guitar in the Piedmont blues style. Instead, he used an older, “frailing” style similar to the “clawhammer” style that was at that time commonly used to play the banjo. “Barbecue Blues ,” taken from his first recording session, made him an instant sensation and would help bring attention to the vibrant Atlanta blues scene. A hint of a growl in his strong voice gives the song just the right edge. He would go on to have even bigger hits over the next couple of years, but this first one remains his best work. Sadly, he would die of influenza in 1931 at age 29.